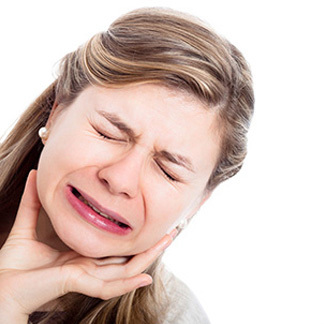 You have temporomandibular joints on each side of your jaw that help with opening and closing the mouth. They are a mixture of muscles, ligaments, cartilage, and your jawbones. Temporomandibular disorders are specifics symptoms that occur within the TMJ, preventing them from working properly and causing discomfort. When the muscles, ligaments, or discs that make up the TMJ do not work together properly, the results can be discomfort in different forms. The muscles can become inflamed or over stretched. The disc can become displaced resulting in bone-to-bone contact. One or all these can cause pain. Most TMD symptoms can be treated with head and neck massages, warm moist heat, soft diet, and a custom made occlusal guard. The custom occlusal guard is to worn at night to prevent the jaw muscles from contracting resulting in clenching or grinding of the teeth. This gives the muscles a chance to relax and rest. At Barrineau DDS, PA, our goal is to make our patients comfortable and free of discomfort. We take the time to make sure custom occlusal guards fit and work properly to alleviate any discomfort or pain a patient may have. Gulf Breeze Office3404 Santa Rosa Dr.